Jill Stein: 'It’s Crazy To Spend $6 Trillion On Fighting Terrorism When We Turn Blind Eye To The Saudis"
Dr. Jill Stein is running for the Green Party nomination for president. Dr. Stein is a medical doctor and a long time political activist. She ran for president before in 2012 for the Green Party. Dr. Stein also ran for governor of Massachusetts in 2002 and 2010. The American Herald Tribune spoke with Dr. Stein about foreign policy on Monday, February 29. The Tribune wanted to get Stein’s opinion on the US-Iranian relationship, Israel/Palestine, and other issues related to foreign policy centered on the Middle East. Stein pointed to the Syrian conflict as another perfect example of the failure of US diplomacy in the region. “It’s no secret that the Saudis have been behind the terror groups tearing Syria apart,” she explained, citing US patronage of the oil-rich kingdom as a driving force behind instability in the war-torn country. Stein believes that there needs to be a full weapons boycott in Syria and a freeze on the bank accounts of countries sponsoring terror, including Saudi Arabia. It’s crazy to spend $6 trillion on fighting terrorism when we turn blind eye to the Saudis. It’s not only the Saudis, though. Stein argued that US involvement in sectarian conflicts in the Middle East, like the ongoing Syrian civil war, only exacerbate tensions in an already volatile region. The Tribune asked Stein about another controversial point of conflict in the Middle East, the Israel-Palestine conflict. We’re spending $8 million a day supplying the Israeli military. That money goes to continuing the policies of home demolitions, apartheid, and massacres, Stein said. The policies are “flagrant violations of international law” that will eventually have the effect of “driving Israel out of existence” by its own actions. Stein has hope that a solution can be reached, she said, but she believes the US needs to step back and let things take their own course. Part of that conflict’s resolution is based in the nuclear agreement reached in July of 2015. 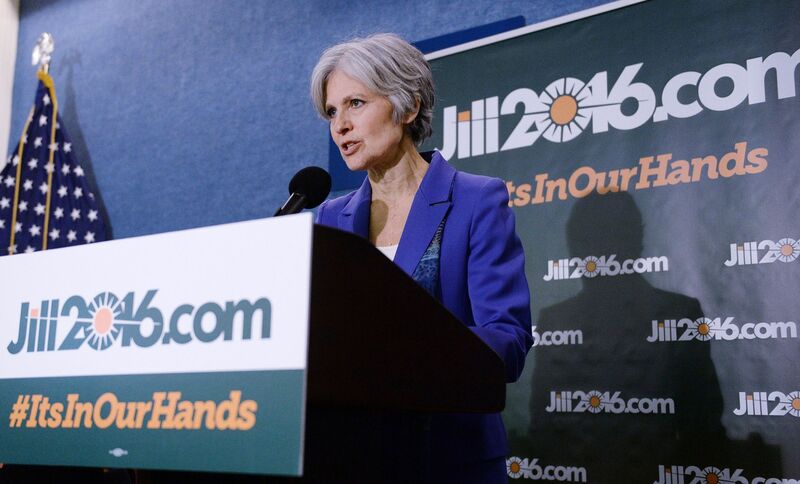 Although Stein believes that the “issue of the nuclear threat was concocted” by the US, she welcomes the potential for nuclear disarmament and a nuclear free zone in the Middle East as a whole. “Iran wanted” a nuclear free zone in the Middle East. “Fortunately things have mellowed on both sides” of the conflict between the US and Iran, Stein said.